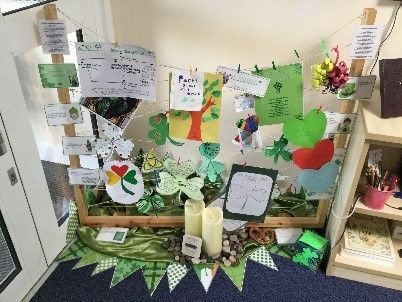 Inspired by St Patrick, Our value of the term for Lent 2 was celebrated with beautiful depictions of the holy trinity created by children and their parents as part of our home faith in action challenges. Article 13: You have the right to find things out and share what you think with others by talking, drawing, writing or in any other way unless it harms or offends other people. 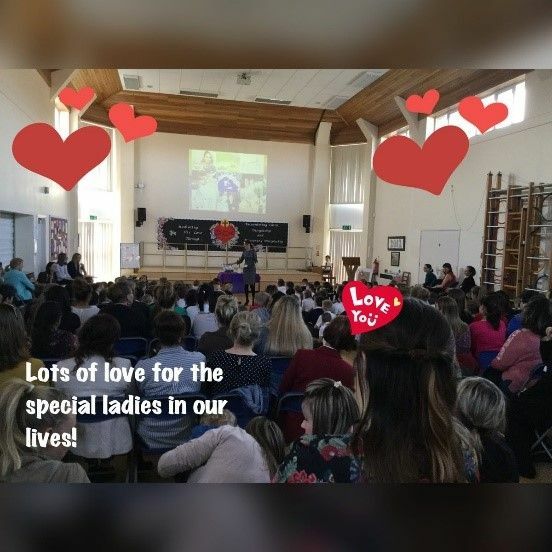 Amazing ladies in our lives were invited to share a special service dedicated to them and to celebrate Mothering Sunday. The children created a showcase of performances, poetry, video, song, art and dance to show their gratitude. Article 9: You have the right to be part of a family. 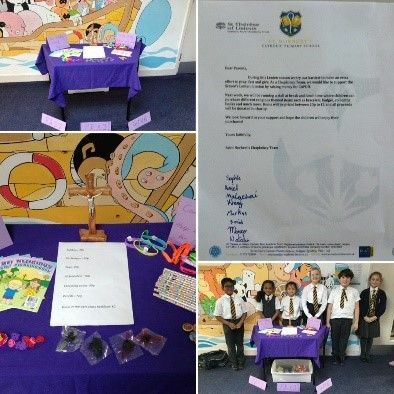 As part of the core missions to Pray, Fast and Give - the Chaplaincy Team are leading on fundraising through running a Lent shop at break times and children across the school will be donating to enter the Eco Fashion Show. All proceeds from both events will be donated to CAFOD. Article 27: You have the right to have all your basic needs met. We have engaged with a variety of activities, reflections, services and Masses as a special way of Encountering Christ in our daily lives. Through encountering Him at this Lenten time, we feel the fruit of his sacrifice; our salvation, unity and love. 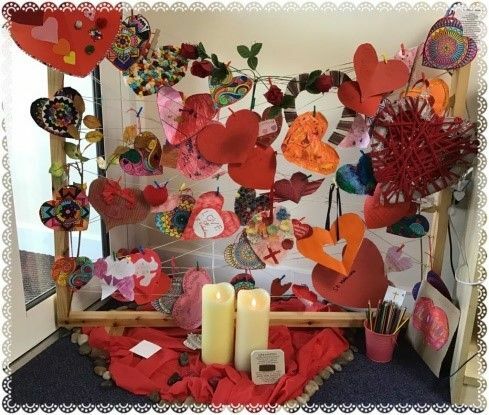 With the key messages of the Scripture at the heart of waht we do, we have created special reflection spaces around school, allowing children to take time to pray and reflect. This project has been enhanced by the work of a local artist helped to create our amazing prayer figures for our entrance, depicting the Stations of the Cross for our modern times. Article 28: You have the right to good quality education. Year 5 welcomed Father Paul to celebrate Class Mass. 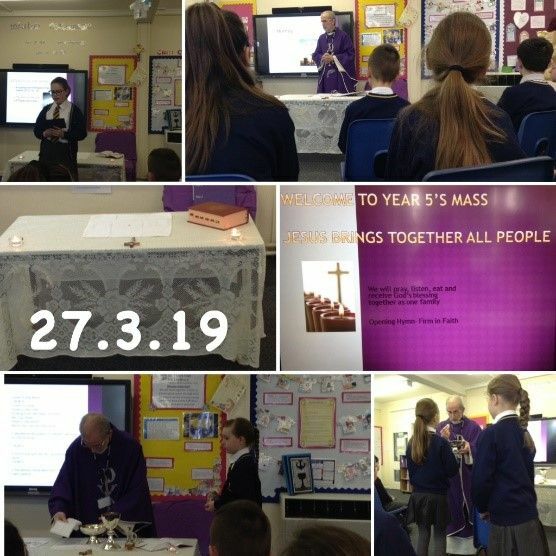 The theme selected by the class was 'Jesus brings together all people', with a focus on unity being a fruit of our salvation, a special Lenten message as we focus our thoughts on Jesus' sacrifice. The children contributed to the writing of the introduction, Penitential Act and Prayers of Intercession then read and sang beautifully. the messages throughout were clear and Father Paul helped us all reflect on the word in a current and meaningful way. Look at our Twitter feed to see and hear a snapshot of our wonder Mass. Article 6; You have the right to be alive. 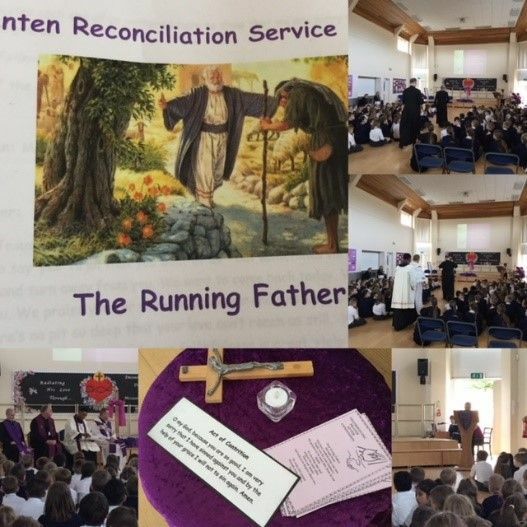 We welcomed Father Victor and three other priests to share Lenten Reconciliation service with us. The theme of the 'Running Father' linked to the parable of the Prodigal Son. In our Reconciliation, we took time to think about when we have turned away from God through our thoughts, words and actions. 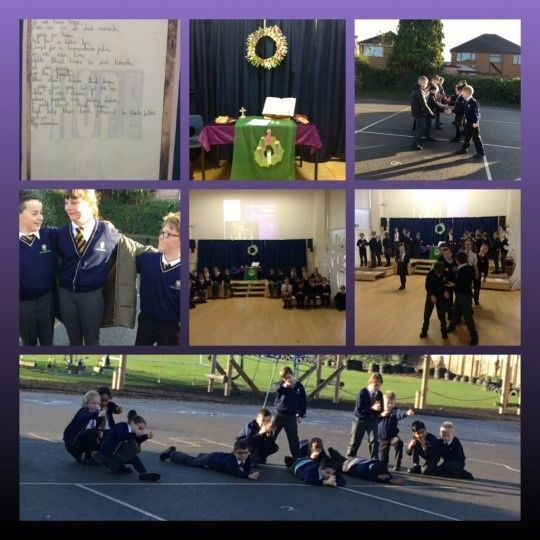 The Chaplaincy team helped organise the readings and examination of conscience, demonstratiing excellent leadership skills through their own spirituality. 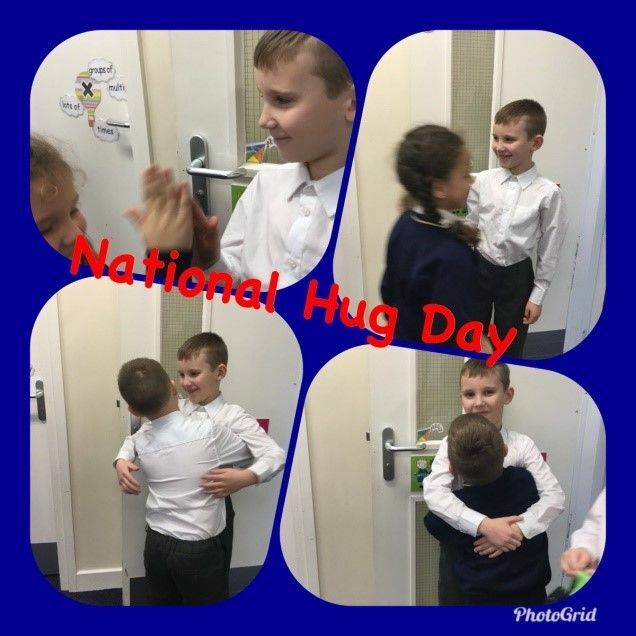 Children in each year group also took time to create their own 'hugs of forgiveness'. Article 32: You have the right to protection from work that harms you. The childre began their spiritual Lenten journey by attending Mass at Church. 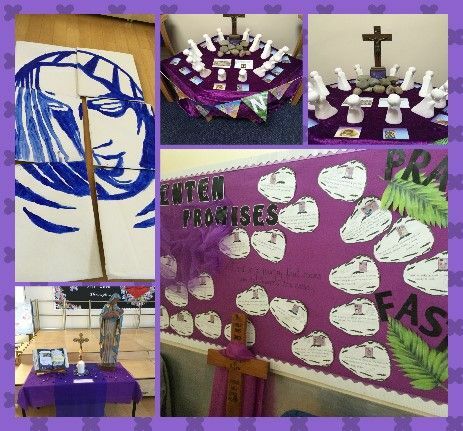 Led by Father Jim, Deacon Dennis and the Chaplaincy Team, pupils and parish joined together to reflect on the importance of prayer, fasting and giving in a humble and unselfish way. We received the ashes on our foreheads as a symbol of the dust from which God made us and as a sigh of our acknowledgement of our sin and penance. Article 30: You the right to practice your own culture, language and religion. 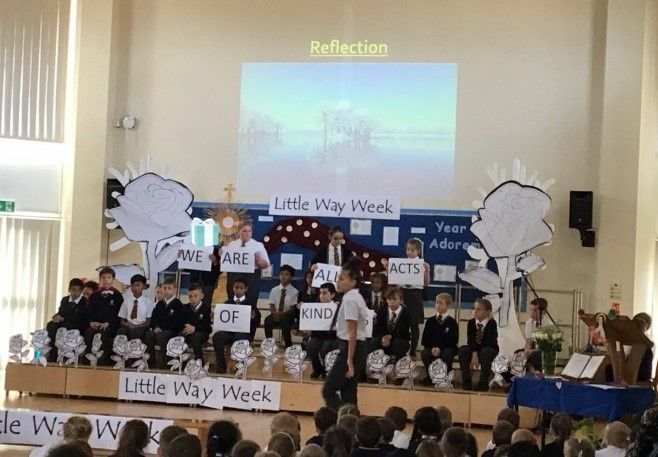 Our value of the term for Lent 1 was celebrated with beautiful prayers and hearts created by children and their parents as part of our home faith in action challenges. 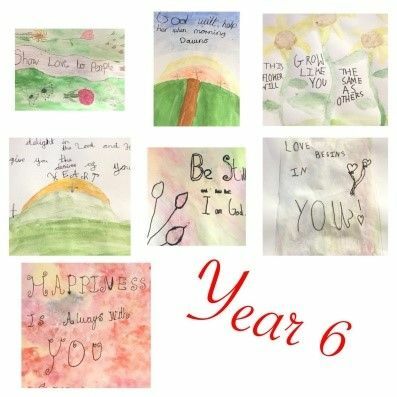 Year 6 were inspired by the story of Saint Valentine of Rome and used art to express special messages to inspire spiritual growth and love for the Lord. Year 1 led a special worship all about meals. They shared the message of how the Last Supper was a special meal and is remembered and celebrated during Mass. Our mission was to take time to share a special meal with loved ones. Year 2 gathered together to encounter Christ through a special prayer service. We celebrated our service with Deacon Dennis and shared our most special book- The Bible. Article 17 You have the right to get information that is important to your well-being, from radio, newspaper, books, computers and other sources. 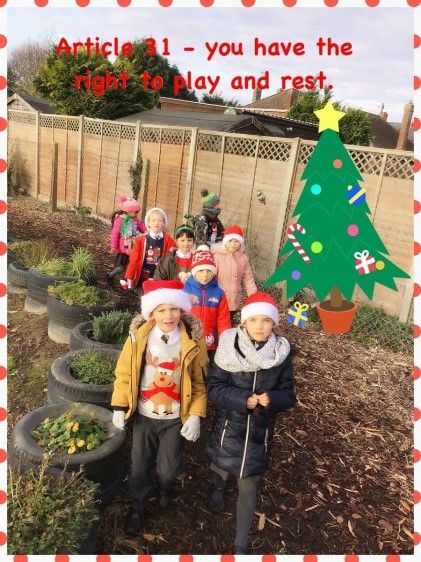 Children and staff at school showed their Christian love for others in our world by donning their most festive attire to raise money for Save the Children. 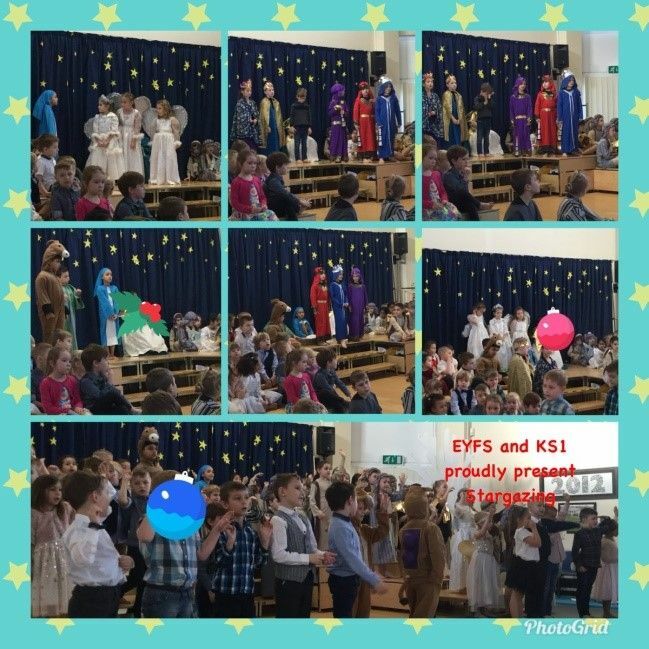 Children in Reception, Year 1 and 2 worked exceptionally hard to share the most famous story of the birth of Jesus our Saviour. 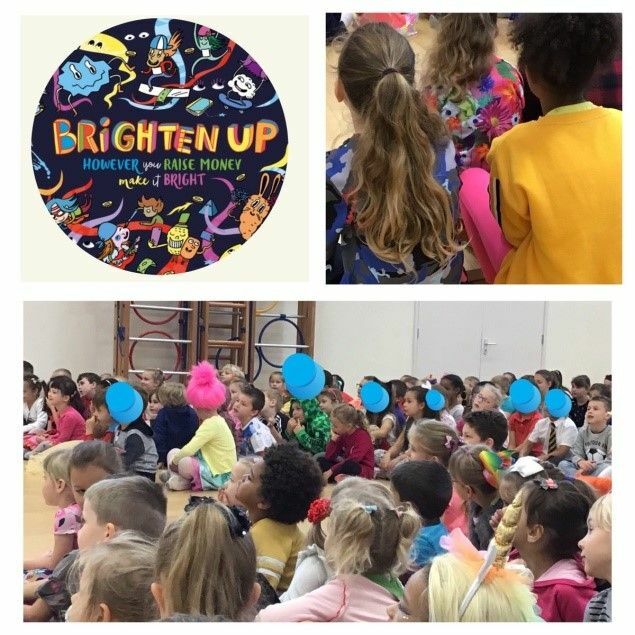 They performed ‘Stargazing’ to the school and then their families and loved ones, demonstrating superb acting and joyful singing and dancing. A super way to give glory to God and Jesus. Article 29- Your education should help you develop your talents and abilities. We came together as a school to prepare for Jesus. 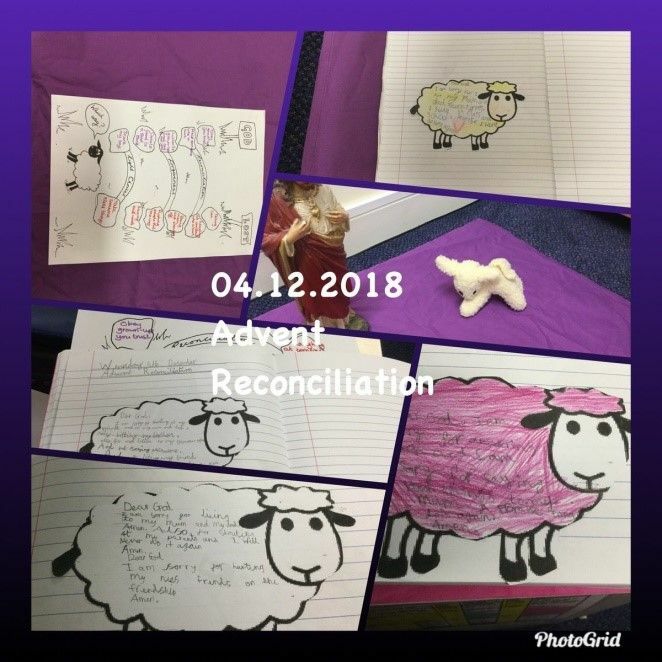 We reflected on the parable of the Lost Sheep, considering the things we do that make us lost and what we can do to get back on the path to God. We also reflected on how asking for forgiveness acts like a bridge between the two paths. After the service children who were able, received the Sacrament and we all write special prayers to say sorry for our sins. Year 5 shared their liturgy about Hope - the Gospel value of Advent 2 - to school and parents, inviting them to light a candle and reflect on where hope can be found. To celebrate the 100 years of Armistice, the children also shared messages about peace and hope on the battlefields in Ypres. 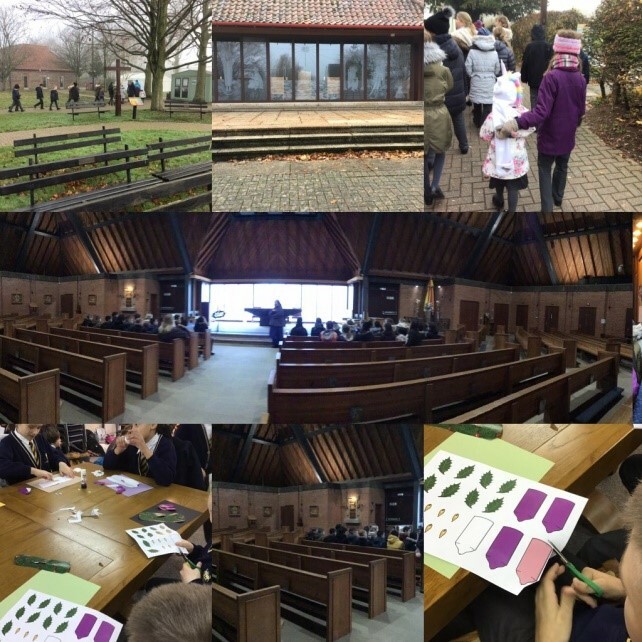 Year 6 went on a beautiful, spiritual pilgrimage to Walsingham where they attended Mass, decorated wreaths, visited the Slipper Chapel and went on a 1 mile pilgrimage walk. Article 30 You have the right to practice your own culture, language and religion. As a school we took part Anti- Bullying Week focussing on the theme ‘Choose Respect’. 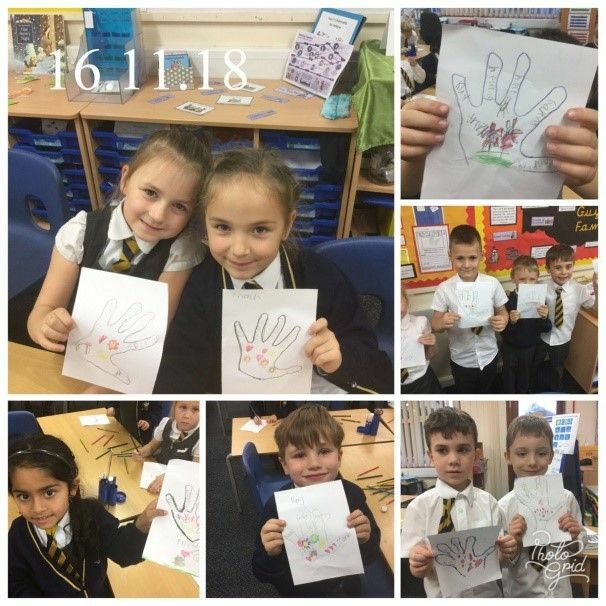 Each class put kind thoughts, words and actions into practice and some children even decorated some helping hands to show us how we can demonstrate our Mission Statement- Love of God, Love of One Another and Love of Life Itself as well as our Rights Respecting ethos. Hebrews 13:16 – Don’t forget to do good and share with those in need. We encountered Christ through working to benefit others. To celebrate Harvest we raised money for CAFOD by dressing up in REALLY BRIGHT clothes. 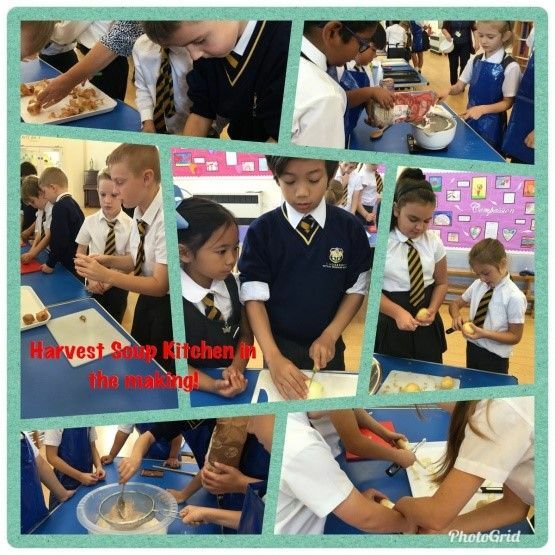 In addition to this classes teamed up to use seasonal produce to prepare soup and bread to share with their families and loved ones- remembering the wonderful gifts God has bestowed on us. Father Paul joined us to celebrate and give thanks for the bountiful earth and praise God for all he has provided for us. We prayed for people of the world to be inspired to support those who are hungry. 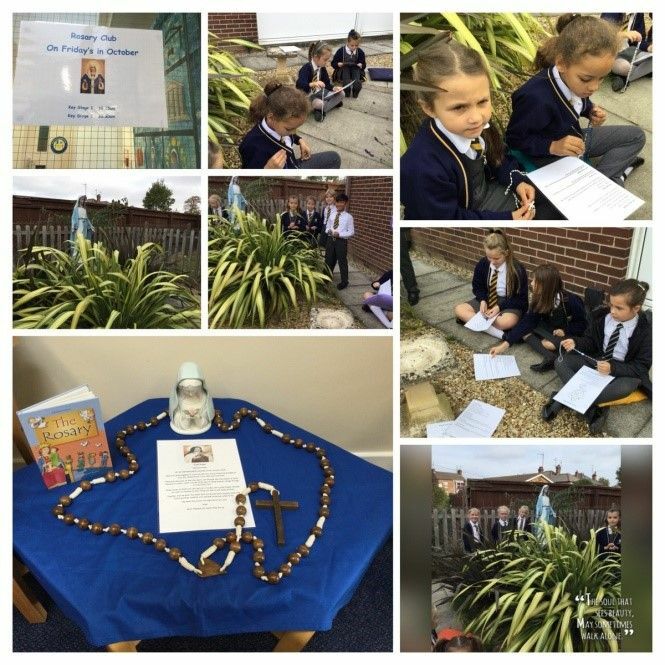 Mrs Amess and the Chaplaincy team lead Rosary Club during October, sharing the special prayers, mysteries and reflections of the Rosary in the peace of Our Lady’s garden. Children from each class lived out their faith through joining the voluntary prayer sessions. Article 15 You have the right to choose your own friends and join or set up groups. We celebrated and remembered the message of our CMAT’s patron Saint- St Therese of Lisieux. As a child St Thérèse dreamed of being a missionary. With age she understood that very few of us are called to make big and radical gestures, but that through small, loving actions we too can deliver God’s love to the world. Throughout the week we engaged with days of prayer and service, following in St Therese’s footsteps. 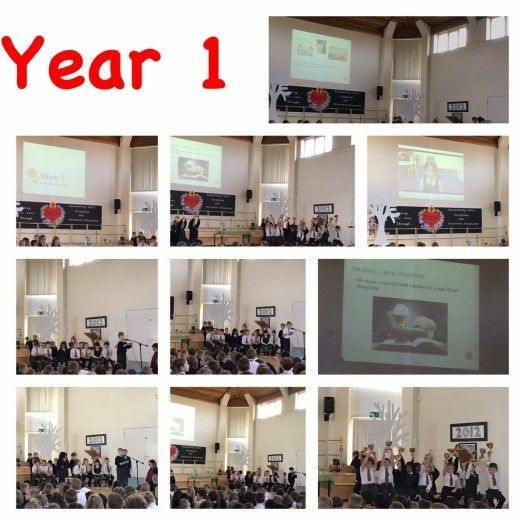 To deliver the core message of spreading love through our actions, Year 6 prepared and shared a collective worship to children and parents. 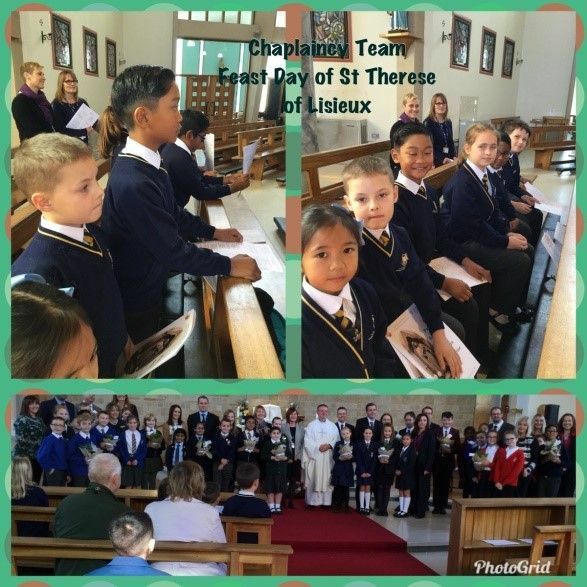 Our School Chaplaincy Team attended the Feast Day Mass of St Therese of Lisieux at the Catholic Church of Saint Peter and Saint Paul in Lincoln. The children and staff were able to worship together with pupils from other schools in out Catholic Multi Academy Trust. Article 14 You have the right to choose your own religion and beliefs. 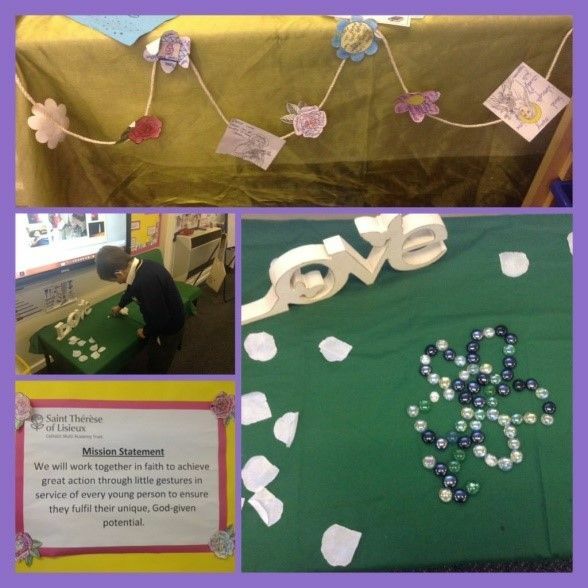 We prepared to Celebrate our CMAT Patron Saint, St Therese of Lisieux by challenging our families to create special, unique little flowers to be displayed on or prayer web in the entrance hall. 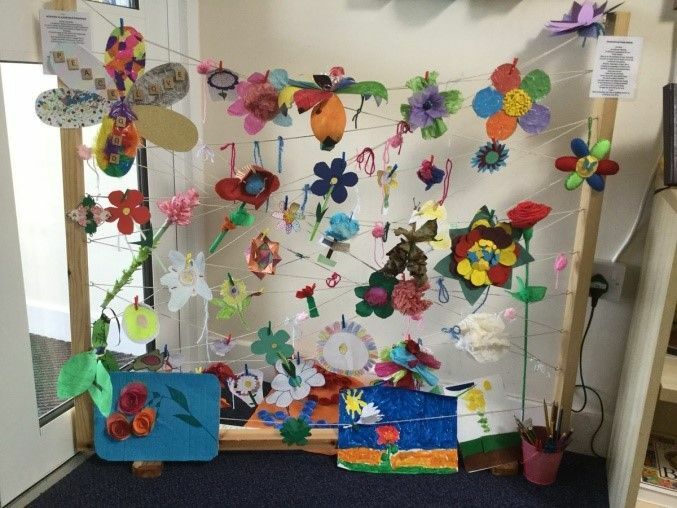 A fantastic array bloomed for all to see, reflect on and enjoy. Article 8 You have the right to an identity. 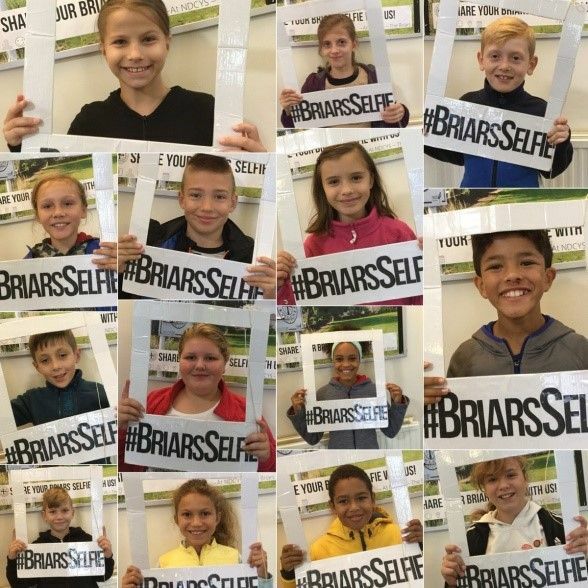 Year 6 went on a fantastic retreat to the Briars, allowing them to encounter Christ and reinvigorate their faith. Through prayer, worship and fun, the children were spiritually nourished…but they also enjoyed the food! 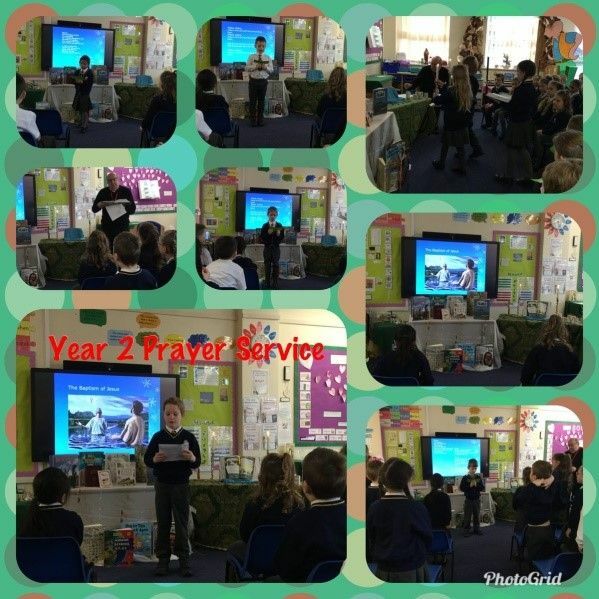 During their retreat, the children attended quiet prayer times, Mass, took part in team building exercises, went caving and marvelled at the wonders of God’s wonderful world in the Derbyshire countryside.